It's been a strange and wild couple of years for the James Bond franchise, and the ride doesn't seem to be slowing down. 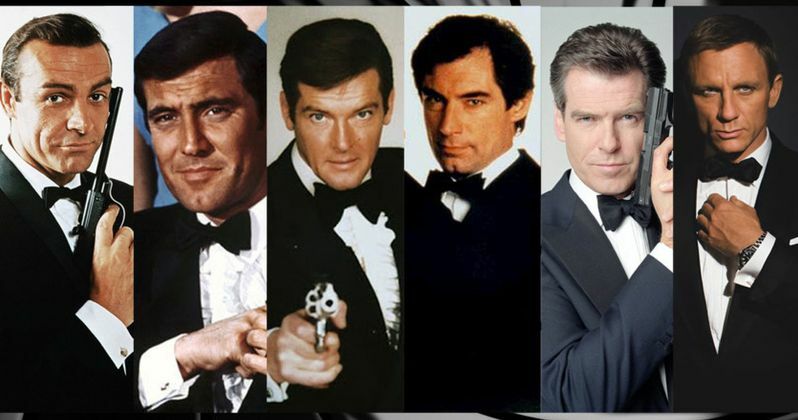 MGM is currently in control of the James Bond series and that's easily the biggest credit to their company. We've heard for some time now that they're looking to find a new domestic distribution partner for the movies moving forward, and Annapurna appeared to have the deal locked down. But not so fast. Now, a new report claims MGM is actually using the James Bond rights as leverage in a potential sale of the company to a major studio. If this is true, and there's reason to believe that it is, this would explain why we haven't heard a formal announcement from MGM about a domestic distributor for James Bond 25, which will go into production this year and is set for release in November 2019. Perhaps the most compelling evidence comes from CEO Gary Barber's sudden departure from the company last month. MGM is now being run by a nine-person management team and, according to insider reports, they seem to be in no hurry to find a new CEO. If they're looking to sell, then that would explain the lack of urgency in that department. MGM hasn't come out publicly and announced they're for sale, but it's said that Sony is the frontrunner to purchase the company. Sony has distributed the Daniel Craig James Bond movies, which have been tremendously successful from a financial standpoint. However, Sony has been putting up half of the production costs in order to get just 25 percent of the profits. Should Sony purchase MGM, they will be in full control of the franchise. Not to mention the other MGM assets, which reportedly generate $300 million a year in revenue. Analyst Tuna Amobi had this to say about the situation. "You've got a company that arguably will find it a lot more challenging to exist over the long period as an independent entity, which means they could be a potentially attractive takeover play for a number of the other major studios." Sony has the cash on hand to get the deal done, so it's possible this is something we could hear about in the relatively near future. Another interesting bit in this new report is that Slumdog Millionaire director Danny Boyle's deal to helm James Bond 25 is "done," but that has yet to be confirmed by the studio. That said, assuming this is true, that means a potential buyer would be buying the James Bond 25 package, which now includes an Academy Award-winning director and Daniel Craig for his final turn as 007. That's an attractive deal, especially considering that Skyfall made more than $1 billion worldwide and Spectre, though not as well-liked by fans or critics, still made $880 million. Consolidation of power in Hollywood is becoming more rampant. Disney announced their purchase of the majority of 21st Century Fox's assets late last year. The sale still needs to be approved by regulators, but it means that competition will become more fierce and other studios will need to find a way to stay in the game. Sony could get a big leg up by securing the future of the James Bond franchise, in addition to the rest of what MGM has to offer. This news comes to us courtesy of The Hollywood Reporter.